Leamington, Ontario – January 29, 2018 – Leamington and Toronto, Ontario – January 29, 2018 – Aphria Inc. (“Aphria” or the “Company”) (TSX: APH and US OTC: APHQF) and Nuuvera Inc. (“Nuuvera”) (TSXV:NUU), a leading, global cannabis company with a strong presence in Europe, Africa and the Middle East, are pleased to announce that they have entered into a definitive arrangement agreement (the “Arrangement Agreement”) pursuant to which Aphria will acquire, by way of a court-approved plan of arrangement under the Business Corporations Act (Ontario) (the “Transaction”) 100% of the issued and outstanding common shares (on a fully-diluted basis) of Nuuvera. The combined company will leverage Nuuvera’s extensive international network and best-in-class manufacturing practices to become the preeminent global supplier of premium cannabis. The acquisition brings an already successful partnership between Aphria and Nuuvera under the Aphria brand, reducing costs and providing the potential to unlock greater economic value from future production. The Transaction has been unanimously approved by the Board of Directors of each of Aphria and Nuuvera and is supported by the management teams of both companies as well as significant shareholders of Nuuvera. The Transaction values Nuuvera at approximately $826 million. numerous relationships in Germany, Italy, Spain, the United Kingdom, Malta, Israel, Lesotho and Uruguay. Combined with Aphria’s existing agreements in Australia, the combined company establishes a leading international footprint among Canadian licensed producers, and expands Aphria’s processing and manufacturing capabilities globally. Combines Complementary, Best-In-Class Core Competencies: The acquisition of Nuuvera bolsters Aphria’s recent accretive and value-add transactions, including Broken Coast Cannabis, proud producers of small-batch, premium-quality B.C. bud. Nuuvera’s expertise in extraction, distillation and processing of advanced medical-grade derivative products supported by Aphria’s low-cost, high-quality cultivation to scale unlocks greater economic value for the combined company. The acquisition expands upon the existing strategic relationship between Aphria and Nuuvera, established through multiple off-take agreements. As a result of the transaction, Aphria will capture the retail margin of the 77,000 kg of cannabis originally earmarked for these agreements. The combined company will unlock greater economic value from future production, including expectations of realizing supply chain efficiencies, cross-selling and up-selling to customers through a broader product portfolio, developing a more diverse customer base, integrating operations and controls and implementing best practices. Adds Highly Experienced and Complementary Management Team: Aphria will benefit from Nuuvera’s highly-experienced, global management team and the international expansion opportunities it has secured at an accelerated pace. Nuuvera’s reputation for offering the highest quality in purified cannabinoid products has set it apart from its competitors. The Nuuvera management team will play a meaningful role within the combined company going forward. Under the terms of the Arrangement Agreement, Aphria will acquire all the issued and outstanding common shares (on a fully-diluted basis) of Nuuvera for a total consideration of $8.50 per Nuuvera share, representing a total transaction value of approximately $826 million. Nuuvera shareholders will receive $1.00 in cash plus 0.3546 of an Aphria share for each Nuuvera share held which, based on Aphria’s 10-day VWAP of $21.15 for the period ended on January 26, 2018, equates to $7.50 of value per Nuuvera share. Aphria expects to issue up to approximately 34 million shares in connection with the Transaction, representing approximately 20.8% of the currently issued and outstanding shares of Aphria on a non-fully diluted basis. The Transaction is expected to be accretive to Aphria on an earnings basis in its first full fiscal year. 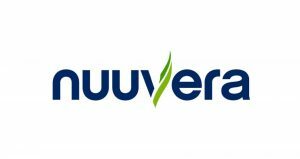 The Transaction consideration of $8.50 per Nuuvera share represents a 30.5% premium to Nuuvera’s 10-day volume weighted average price of $6.51 for the period ended on January 26, 2018. The Transaction is subject to the approval of the Superior Court of and is subject to the approval of twothirds of the votes cast by Nuuvera shareholders (as well as a majority of the “minority” shareholders of Nuuvera), receipt of required regulatory approvals, and other customary conditions of closing. Aphria has secured irrevocable hard lock-ups (the “Lock-Ups”) from shareholders of Nuuvera to vote in favour of the Transaction, and also holds an approximate 6.5% interest in Nuuvera. Collectively, the shares subject to these Lock-Ups represent, together with the Nuuvera shares already owned by Aphria, approximately 57% of the currently outstanding Nuuvera shares, and over 50% of the “minority” shareholders. The arrangement agreement between Nuuvera and Aphria provides for, among other things, a nonsolicitation covenant on the part of Nuuvera, as well as a provision that entitles Nuuvera to consider a superior proposal in certain circumstances, and a right in favour of Aphria to match any superior proposal. Nuuvera is not permitted to terminate the arrangement agreement as a result of a superior proposal. If the arrangement agreement is terminated in certain circumstances, including if Nuuvera enters into a definitive agreement with respect to a superior proposal, Aphria is entitled to a break-fee payment of $25 million. The Transaction is currently expected to close in April 2018. The Transaction will not impact the completion of the prospectus offering of units of Nuuvera that was announced on January 24, 2018. Further information regarding the transaction will be included in Nuuvera’s management information circular to be mailed to Nuuvera shareholders in advance of the special meeting and in Nuuvera’s material change report in respect of the announcement of the transaction, each of which will be filed with the Canadian securities regulators and will be available at www.sedar.com. Nuuvera is a global cannabis company founded on Canadian principles, and built with the whole world in mind. Nuuvera is currently working with partners in Germany, Israel and Italy, and is exploring opportunities in several other countries, to develop commercial production and global distribution of medical grade cannabis in legalized markets. Through its subsidiaries, ARA – Avanti Rx Analytics Inc. and Avalon Pharmaceutical Inc., Nuuvera holds a Dealer License (GMP) under the Narcotic Control Regulations and Office of Controlled Substances. Nuuvera is currently in the final stages of the Health Canada review process to become a Licensed Producer of medical marijuana under the ACMPR, and has recently received its “letter to build” approval. CAUTIONARY NOTE REGARDING FORWARD-LOOKING STATEMENTS: Certain information in this news release constitutes forward-looking statements under applicable securities laws. Any statements that are contained in this news release that are not statements of historical fact may be deemed to be forwardlooking statements. Forward looking statements are often identified by terms such as “may”, “should”, “anticipate”, “expect”, “potential”, “believe”, “intend” or the negative of these terms and similar expressions. Forward-looking statements in this news release include, but are not limited to, statements with respect to accretive earnings, anticipated revenue and costs synergies associated with the acquisition of Nuuvera, statements with respect to internal expectations, estimated margins, expectations for future growing capacity, costs and opportunities, the effect of the transaction on the combined company and its strategy going forward, expectations for receipt of licenses to cultivate, process or distribute medical cannabis in Federally legal markets, the completion of any capital project or expansions, the timing for the completion of the Transaction and expectations with respect to future production costs, the anticipated timing for the special meeting of Nuuvera shareholders and closing of the transaction; the consideration to be received by shareholders, which may fluctuate in value due to Aphria common shares forming part of the consideration; the satisfaction of closing conditions including, without limitation (i) required Nuuvera shareholder approval; (ii) necessary court approval in connection with the plan of arrangement, (iii) certain termination rights available to the parties under the arrangement agreement; (iv) Aphria obtaining the necessary approvals from the Toronto Stock Exchange for the listing of its common shares in connection with the Transaction; and (vi) other closing conditions, including, without limitation, the operation and performance of the Nuuvera business in the ordinary course until closing of the Transaction and compliance by Nuuvera with various covenants contained in the arrangement agreement. In particular, there can be no assurance that the Transaction will be completed. Forward looking statements are based on certain assumptions regarding Nuuvera, including expected growth, results of operations, performance, industry trends and growth opportunities. While the Company considers these assumptions to be reasonable, based on information currently available, they may prove to be incorrect. Readers are cautioned not to place undue reliance on forward-looking statements. Forward-looking statements also necessarily involve known and unknown risks, including, without limitation, risks associated with general economic conditions; adverse industry events; marketing costs; loss of markets; future legislative and regulatory developments involving medical marijuana; inability to access sufficient capital from internal and external sources, and/or inability to access sufficient capital on favourable terms; the medical marijuana industry in Canada generally, income tax and regulatory matters; the ability of Aphria to implement its business strategies; competition; crop failure; currency and interest rate fluctuations and other risks. Any forward-looking statements or facts (including financial information) related to Nuuvera discussed or disclosed herein are derived from information obtained directly from Nuuvera and publicly available sources and has not been independently verified by the Company.